Which came first, the chicken or the egg? 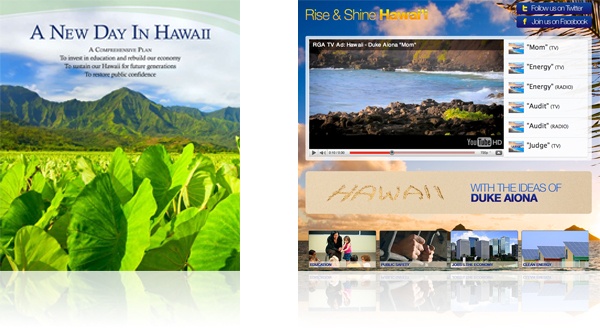 In the race for Hawaii governor you have Neil Abercrombie pitching “A New Day in Hawaii”, and Duke Aiona pushing “Rise and Shine Hawaii”. I guess if you can’t decide who the real ideas man is, you can always vote on skin color.